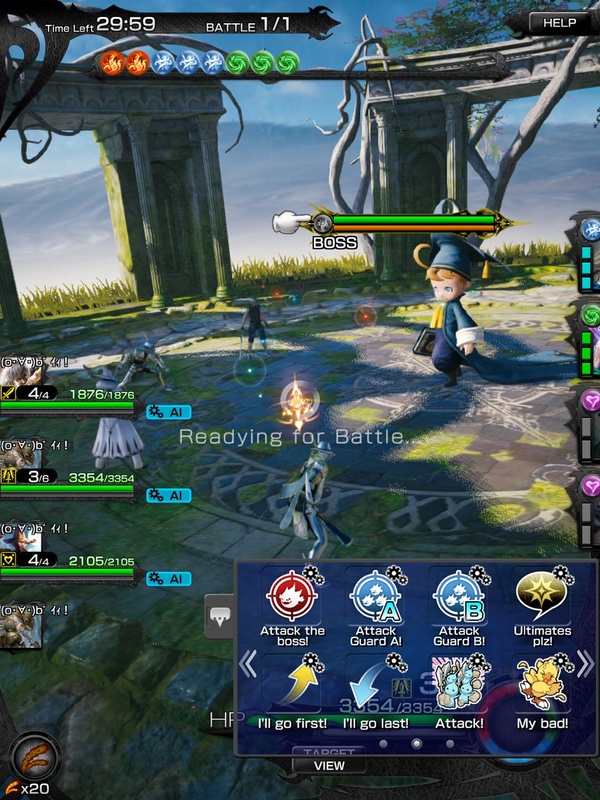 How’s everyone enjoying co-op play? I’d imagine there’s probably some frustration going on since I’ve had some run ins where players had ill-equipped decks or just didn’t understand their roles. 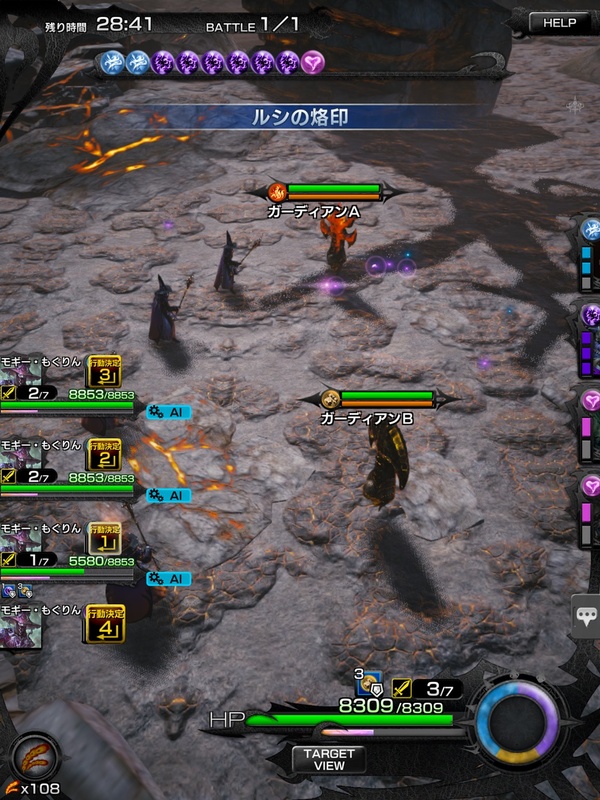 For example, someone had a Fire PuPu for an Ifrit battle and actually used the card so it’d heal the boss a little. Then there was another player, who was a Defender, that just literally passed every turn. I guess that person thought that was how he was supposed to defend. Anyway, I’ve come up with some points on how to go about multiplayer. Please feel free to disagree with some of them or correct me since I’m no expert; I’m using some common sense and going with my experience. Added 3-star Ifrit battle gameplay video and expanded the information under “Attack Guards first”. Added some screenshots to show the multiplayer action icons and stamps. Added section about stamps, a point about not spamming attack abilities when the red break bar is still up, and suggestion to let Supporters go first. The in-game help section explains all 4 roles. 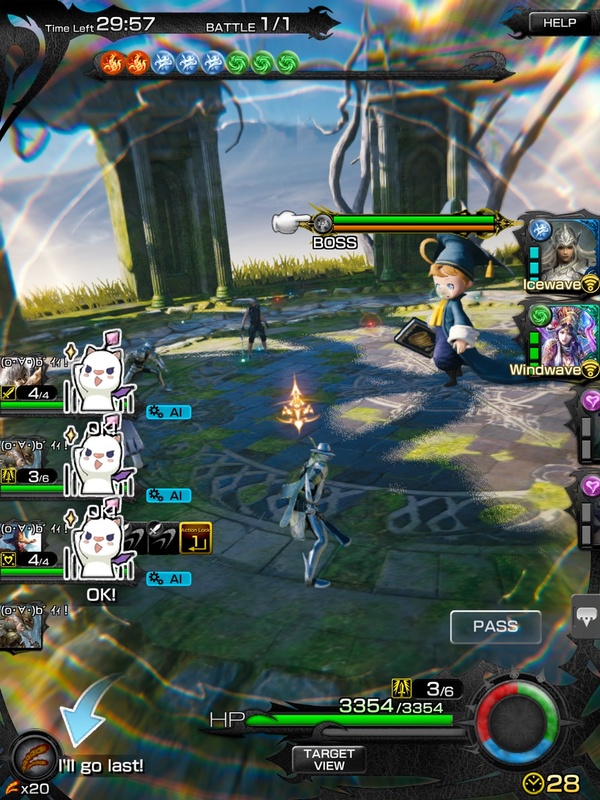 This blog post does as well: https://pocsgamejournal.wordpress.com/2016/08/21/mobiusff-multiplayer-job-role/ Outfit your job’s deck according to its role; don’t just throw together a deck with your strongest cards. Tap on the boss’ icon in the top left of the window. You can do this in the Party Selection search screen or Party Selection quest creation screen. Don’t waste a card slot on a Debarrier card. You can do this by tapping on their job icon. If you see a Supporter decked out in 3 attack cards and 1 support card, move on to the next group that’s recruiting. (I suppose an exception would be a 1-star fight.) Likewise, no one should be bringing Fire attack cards to battle Ifrit, or Debarrier into the 2-star battle because it’s immune to it. 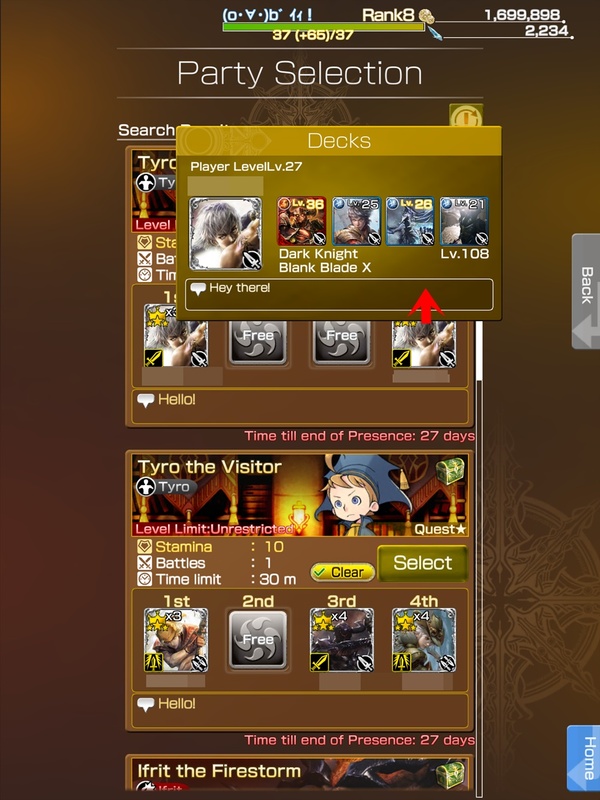 Tap on the user’s icon for deck information. Trust me — you don’t want to go into the 2-star Ifrit battle where only the Supporter evolved from an Apprentice Mage and Breaker have water cards. I should have canceled when I had the chance but oh well. You can check their cards the same way as shown in the screenshot above. Don’t assume the Supporter will have what you need or want. For Tyro, who has no elemental weakness, you may want to have more than one element, but for Ifrit, a strong water card or your strongest card(s) is/are recommended. If there are some with a debuff you want to use then just make sure you can actually inflict the boss with it. This is extremely important so you can make the proper decisions based on their actions. It also ensures you don’t waste orbs or your turn in general. Sometimes it’s hard to gauge — for example, you’re not sure if that one extra hit will send the enemy into break or not — but try to do your best. As for the icons, the little 4-pointed icon represents Element Drives. Yellow icons with a star-like image are Ultimates. Any coloured orb is an ability. Pink is support/healing while the others are buffs, debuffs, or attack cards. Again, look at the decks of other players to know what they’re equipped with. You can do this by quickly going into the Help menu and tapping on the player’s icon. In the Help screen, you can look at other players’ decks. Consider the circumstances. 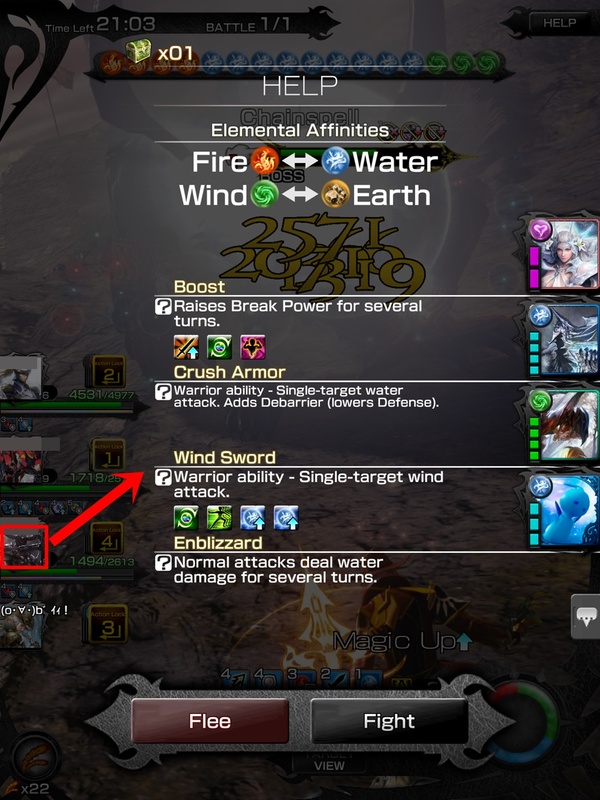 Not all Ultimates are suited to be used the moment they’re available such as the White Mage’s. When doing solo fights with the AI, stamps are needed to direct their actions. Only the ones with gears in the top right corner work. Be the boss and tell them what to do! They will become a nuisance if left alone. Besides, you can get items if you defeat them before taking out the boss. But if you don’t care about the spoils they give and only want the material from the boss AND you can defeat the boss quickly enough, then ignoring the flunkies is fine. This type of “speed” gameplay is dependent on your party, of course. In a 3-star battle, 4 Fausts (Attacker role) can wipe out Belias, a fire boss, in under 3 minutes. Tip: If you see team mates about to finish off a Guard, don’t turn your focus on the boss unless you’re absolutely sure you can destroy the Break bar or can do damage directly to its HP. Once the guard goes down, the bar will be restored to its original state. Note that once the guards are down, the boss will use its full power and rev up its Ultimate. Do your best to finish it as soon as you can. You’ll be wasting them. The only exception are strong abilities that can reduce the boss’ health. It may be possible, but from experience, a Breaker may not have the cards or enough orbs to get the red Break bar in a 2-star battle singlehandedly. Taunt cards, when they’re not the same element as the boss’, are a great help in this aspect due to their high Break Power. Mages with high magic power provide fantastic assists too when it comes to driving the yellow bar into red. I was in one 2-star Ifrit battle where a Red Mage sent the boss’ bar into the red with one or two hits from a 4-star Sylph. Attackers with strong ability cards can make quick work of the yellow bar as well. It’s based on the Japanese version and mentions cards* currently not available in global. However, the gist of the setup and order of gameplay is something that works in all difficulties in all regions. The first step is dependent on the situation, of course, because there’s every chance the Supporter won’t have enough heal orbs to put up one buff. However, for these current 1-star and 2-star battles, not having protection up right away doesn’t seem to be much of an issue. *Hellgate and Knights of the Round are multi-boon cards. The former has Wall, Barrier, and Regen. KOTR is a card with Boost, Brave, and Faith. 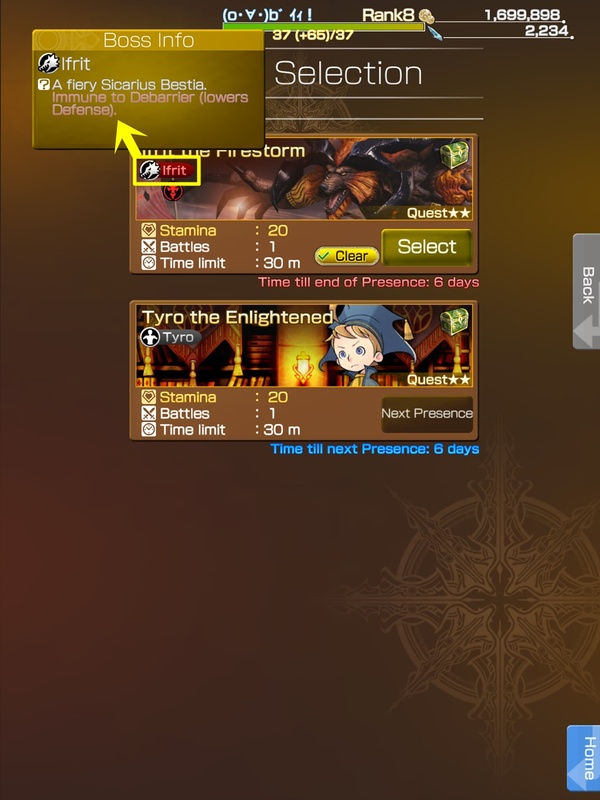 Two FF Record Keeper cards can be used as substitutes: The Tyro one can somewhat take the place of Hellgate, and Aerith & Tifa can be used like the “speed up” mentioned in the post as it has Haste and Faith. It produces 4 orbs as well.